From March 16 to 21 July 2018, the House of Latin America (Maison de l’Amérique Latine) presents a unique exhibition entitled “Morel’s invention or the Images Machine”, conceived and curated by Thierry Dufrêne and based on the novel “Morel’s invention” by Argentinian writer Adolfo Bioy Casares (1914-1999). With a very eclectics selection of artworks such as photographs, installations, video projections, holograms, kinetic works and comic strips, realized by fifteen international artists, this exhibition highlights the major influence that this pioneering novel has exercised on several generations of creators. 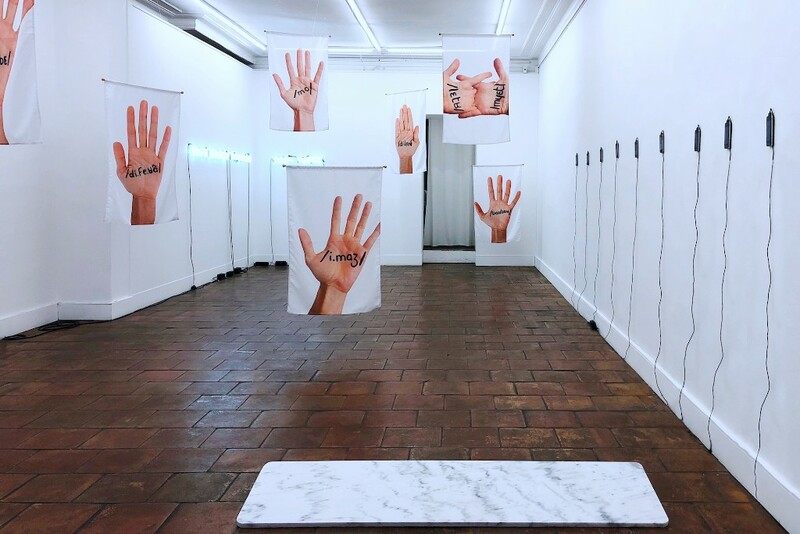 Following Bioy Casares, this exhibition questions the way in which contemporary artists regain the dream of a duplication of our world that could eventually guarantee its eternity. 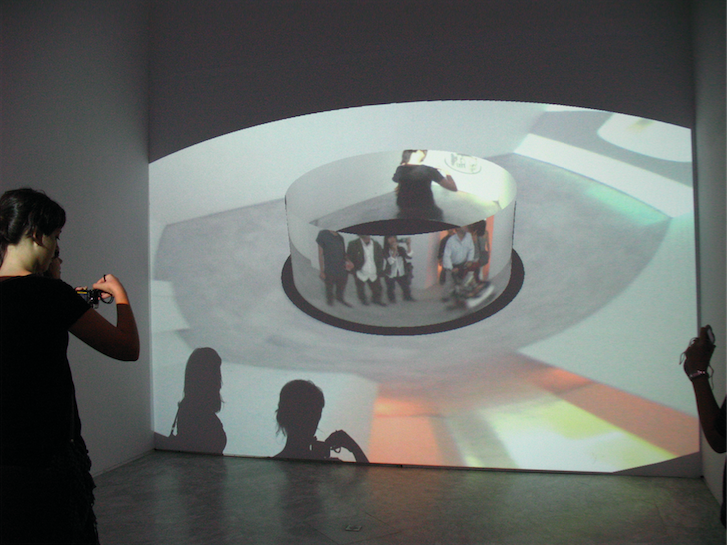 Even if the aim of the exhibition is not to be a reproduction of Bioy Casares’ novel, “Morel’s invention or the Images Machine” intends to raise in the visitor the same questions as those faced by the character of the fugitive in the book published in 1940: what is the reality of images, what is immateriality, can we fall in love with an image? The artists, some of whom have created works specifically for the exhibition, are constantly moving the novel towards their own horizons. 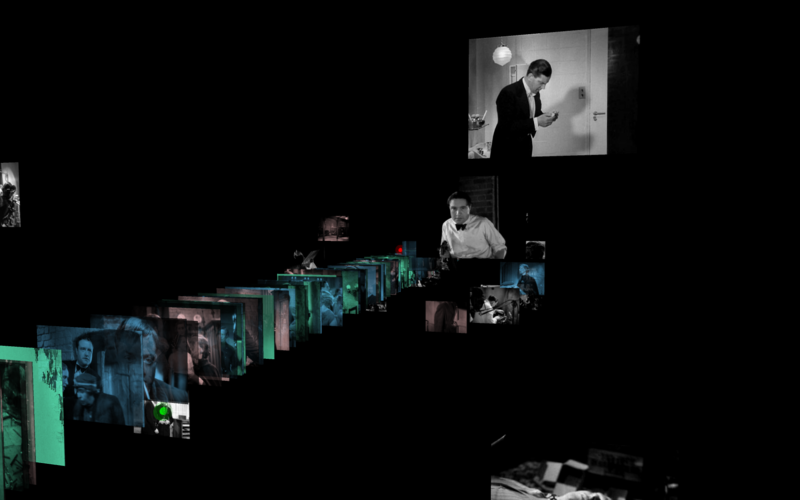 The duo called SLIDERS_Lab presents a generative cinema installation based on the first version of an Alfred Hitchcock’s movie: “The man who knew too much” uses digital writing for a random projection within the space. Specially created for the exhibition, Pierrick Sorin’s “Untitled” optical theater brings to life the hologram characters of “Morel’s invention”. The artist stages these strange presences, these perfect images and gives to the viewer the same experience of illusion as that experienced by the fugitive. Artists: Michel Bret/Edmond Couchot, Luc Courchesne, Jean‐Louis Couturier (A.Jihel‐JLC), Frédéric Curien / Jean‐Marie Dallet (SLIDERS_Lab), Nicolas Darrot, Leandro Erlich, Masaki Fujihata, Piotr Kowalski, Julio Le Parc, Rafael Lozano‐Hemmer, Jean‐Pierre Mourey, Stéphanie Solinas, Pierrick Sorin.